SHANGHAI (Reuters) - Smartphone retailers in China say it's a tough sell of late with consumers reluctant to upgrade, put off by chill economic winds. "Of those people who are upgrading, there are many switching from Apple to Chinese brands but very few switching from Chinese brands to Apple," said Jiang Ning, who manages a Xiaomi store in the northern province of Shandong. Huawei Technologies Co Ltd, Xiaomi Corp, Oppo and Vivo once sought to grab share in the world's biggest smartphone market with value-for-money devices, but consumer demand for better phones has prompted strategic rethinks. "People are more attached to their phone than ever and have higher expectations for the function and experience it offers. The response has been constant upgrading of hardware specs," Alen Wu, global vice president at Oppo, told Reuters. "Huawei's cameras have become noticeably better than Apple's in that they suit the tastes of Chinese consumers more," he said. Compared to dual-cameras common in most smartphones, Huawei's P20 Pro device boasts three rear-facing cameras, with the additional one improving zoom capabilities. It is one of several new devices in its P20 and Mate 20 lines, which helped Huawei's share of the $500-$800 segment in China surge to 26.6 percent last year from 8.8 percent, data from research firm Counterpoint shows. "Most Chinese smartphone buyers are not ready to shell out beyond $1,000 for a phone," said Neil Shah, research director at Counterpoint. "This left a gap in the below-$800 segment, which Chinese vendors grabbed with both hands." A 64GB iPhone 8 sold at Suning.com Co Ltd now costs 3,899 yuan ($580), roughly 25 percent less than it did in December. That's also lower than its $599 price tag in the United States, where iPhones typically cost less to buy than in China. Most iPhone models through to the iPhone 8 series have seen prices in China cut, albeit not equally. In earnings too, it seems to be a tale of divergent fortunes. Apple's October-December revenue from the Greater China region fell by about a quarter from a year earlier. Greater China currently accounts for 15.6 percent of its overall revenue. Huawei, the world's No. 2 smartphone maker, has estimated revenue for 2018 rose 21 percent, which analysts attribute in large part to robust smartphone sales. Huawei's shipments in Europe jumped 55 percent in the latest quarter and it now has 23.6 percent market share, according to Canalys. That's not far behind Samsung Electronics and Apple which saw small declines in shipments. If Huawei is taking the lion's share of turf that Apple once had in China, Oppo and Vivo - brands owned by electronics hardware conglomerate BBK - are the newest threats. The devices came with features unavailable in the iPhone, including under-the-glass fingerprint sensors and "notchless" displays, both of which increase the size of usable screen. 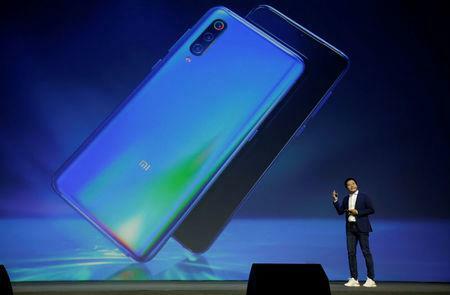 Xiaomi too is going upmarket, announcing in January it would split off its low-budget Redmi range of phones into a sub-brand. In doing so, it is taking a leaf out of Huawei's book which has for years sold cheaper devices under the Honor brand, helping differentiate its products. "Xiaomi's flagship series phones were once always set at 1,999 yuan," said Lei. "This was a contributing factor to our rise, but it also became an obstacle to our growth," he said.